Any advice or tips? I have just bought four of these and plan on smoking a couple for some guests. But, I want to smoke one on my own to make sure I'm timing it right. I'm assuming that smoking 2 will take much longer than one. Any pointers on smoking temp and time would be much appreciated. Thanks. Can’t help with time or temp. But do have a caution. 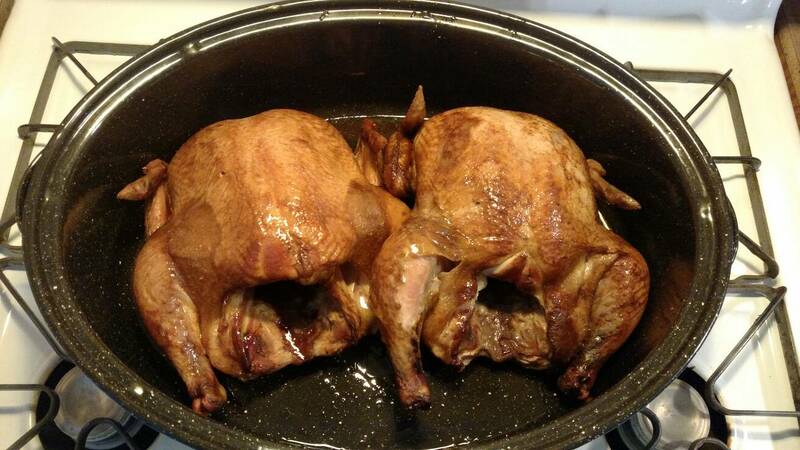 Smoked poultry ends up with rubbery, unappealing skin. Unless you crisp the skin in the oven or grill after smoking. The timing is always difficult to judge, when using the Bradley. Cooking two at once will take longer than cooking one, because the recovery time will take longer. So maybe add about 30 - 45 minutes more than your test run. When I use the Bradley to smoke/cook chicken, I cook at 240°F (I have a modified dual element). Apply no more than two hours of smoke. Preheat your Bradley to 250°F with the vent 1/2 open. After loading the chicken, fully open the vent, and cook at 240°F (you may not reach that temperature before the chicken is done). I generally use apple, but maple and pecan works just as well. To shorten the cooking time butterfly (spatchock) the chickens. I like to quarter the chickens, or use chicken parts. 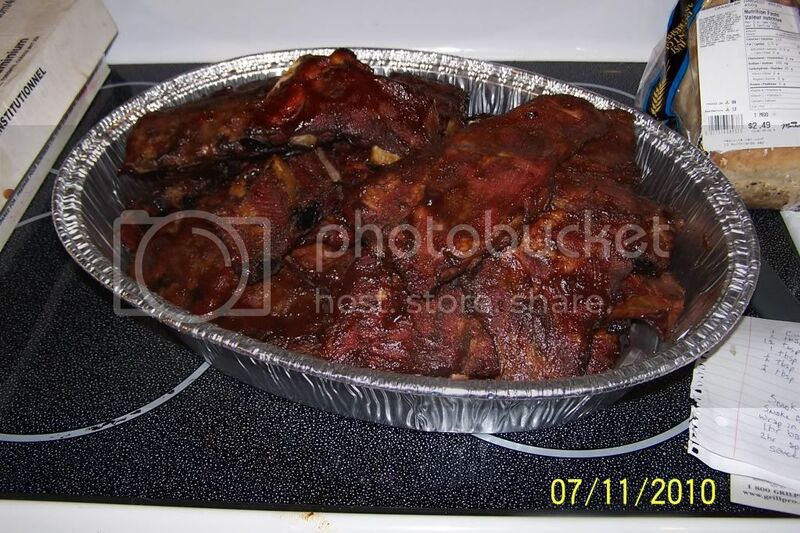 They will cook faster, and you can separate the white meat from the dark, by placing them on different trays. Leave the chicken out at room temperature for an hour before placing them in the smoker. If you have the time and refrigerator space, air drying the chickens for a couple of hours, does help a little with the skin, but it is always best to finish them with high heat, such as using a grill, or under the broiler of you oven. If the chicken is done early, you can use the kitchen oven as a food warmer. Preheat the oven to 225°F, after placing the chicken the oven, turn the oven off. When doing whole chickens, I place slices of lemon and limes in the cavity, rub the bird with peanut oil and then your favorite rub. I usually start them in the smoker for about 2 hrs with smoke, then another 1 hrs without, all at 220*. Then I pull the chicken and place it in my Big Easy propane deep fryer to finish. Skin is nice and crisp, the meat is moist and flavorful. "Cant hurt it, it's already dead"
When doing whole chickens, I place slices of lemon and limes in the cavity, rub the bird with peanut oil and then your favorite rub. I usually start them in the smoker for about 2 hrs with smoke, then another 2 hrs without, all at 220*. 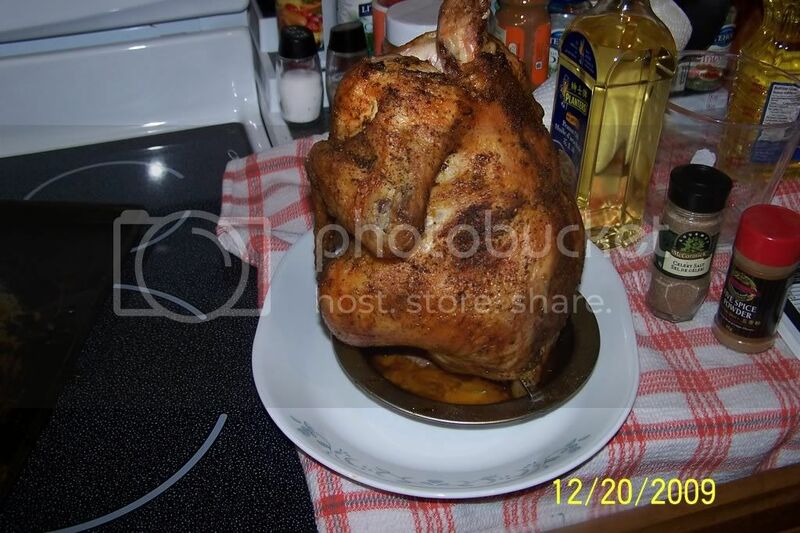 Then I pull the chicken and place it in my Big Easy propane deep fryer to finish. Skin is nice and crisp, the meat is moist and flavorful. Smoked 2 of my whole fryers today. Took 5 hours for both. Temp on my Bradley never got over 225 and I took them off when internal temp reached 150. Going to take the advice and finish them in the oven for the crispy skin. Thanks everyone! Oh and I used pecan wood. They do look good. Let us know how they taste. They look good, now get a Big Easy so you can crisp them up!